Essentially Coaching is excited to present an inspiring series of Personal Empowerment Forums, designed to motivate, inform and help you take the action you’ve been wanting. Ever find yourself too busy; maybe you notice you say “yes” a lot? Has anyone ever said to you “you need to delegate more”? Do you sometimes think that only you can do it or that it would be quicker if you did it yourself? These are often the symptoms of a high achieving person, who likes to get things done. The reality is though that this approach can also get in the way of getting the important things done. If any of this resonates with you, book in this session on how to create more time for yourself. In this session, Michelle and Leanne will introduce you to some effective strategies that you’ll be able to implement straight away. Do you ever notice that conflict can just seem to happen in a conversation and you don’t really know why? Does it sometimes feel like you’re talking at cross purposes with someone or like you’re coming from two different places? Have you ever noticed that there are people who agree a lot and others who disagree a lot? All of us have different preferences for how we make sense of the world. Without realising it our preferences can cause conflicts in relationships. Join us for this fun and insightful session to explore your preferences and learn how this information can help you to be heard and avoid conflict. Dealing with someone who is angry can be very confronting. Our default responses can be to respond back in anger, shut down or to run for the hills. But there is another way that can get better results. Come along to “Calming the Volcano” and learn some simple strategies for effectively dealing with anger. Are you confident in one area but not in another? Do you think confidence is something other people have? Confidence is the most widely coveted topic in both personal and professional development. Sometimes people can think that confidence is an elusive “thing” that someone else has and that there is something special about them. This is simply not true. Join us as we uncover the mysteries of confidence and learn simple strategies for finding your “inner lion”. 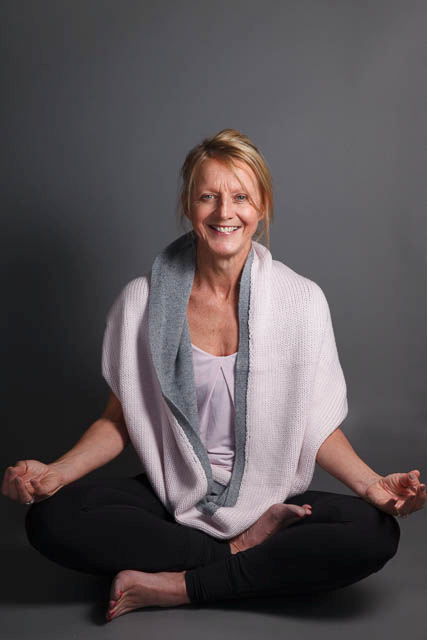 Maria Gorham is the owner of two studios – Hot Yoga Wellington, one in Wakefield St, the other in Featherston St. After 27 years in the world of corporate training, HR, consultancy and a part-time gym instructor it was only in 2009 that Maria first came to yoga and that was because of personal crisis. Since the moment she got on the mat it has been a journey of twists and turns, ups and downs, but not once ever doubting that this was what her whole life had been leading up to. This is a story of when business and following your heart came together. But it doesn’t mean there hasn’t been mistakes made and hard work. Come and find out more about that business model and what Maria believes is her philosophy around life and business.